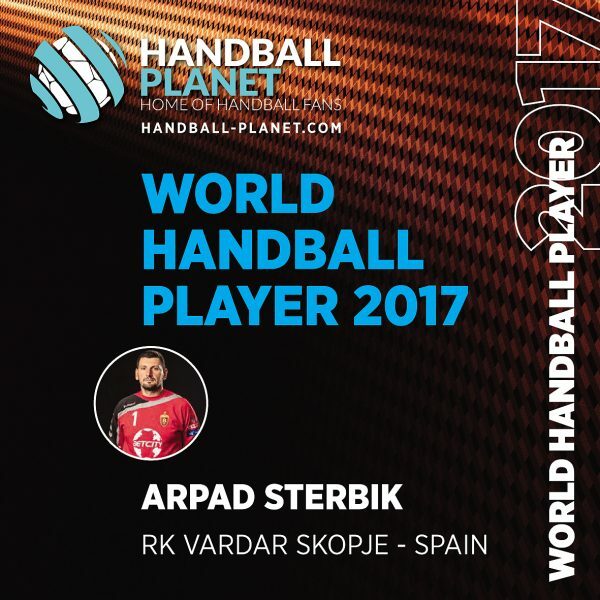 Home / Fans Corner / WORLD HANDBALL PLAYER 2017 – Arpad Sterbik! Handball-Planet.com is proud to announce the results of our traditional Contest for the WORLD HANDBALL PLAYER 2017. 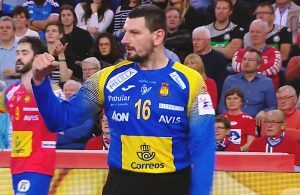 The Spanish NT goalkeeper, RK Vardar No.1, Arpad Sterbik had an amazing year to win the highest number of points based on cumulative votes of 30 members of the international jury of handball journalists and visitors of our website. His outstanding performance during the whole year led RK Vardar Skopje to achieve the biggest success in the history of Macedonian sport – winning the VELUX EHF Champions League trophy 2016/2017 at Lanxess Arena in Cologne. Brilliant start of the new season of 38-years old goalkeeper, who will move to Telekom Veszprem at the end of season 2017/2018, was also huge reason for this prestigious award. EX member of RK Jugovic Kac, Telekom Veszprem, BM Ciudad Real and FC Barcelona Lassa, joined a group of winners – fantastic players who have been voted in years behind us – Mikkel Hansen (2016), Nikola Karabatic (2014 and 2015) Domagoj Duvnjak (2013), Filip Jicha (2012) and Laszlo Nagy (2011). 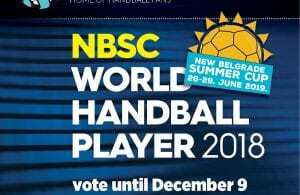 In three weeks of voting, all of 32 nominated players have got amazing support by the handball community. Handball lovers voted (110.021) for their favorite players in eight categories.